The Hindu FAQs is a website which will answer almost all your questions related to Hinduism and Sanatan Dharma. The questions and answers are searched from yahoo answers, facebook communities, quora and many forums and platforms. We have and we will given credits to every source we have refered and will refer in future. 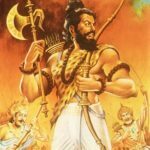 The site include many forms of information related to Vedas, Upansihads, Hindu trinity, Stories, Facts, Myths and misconceptions. 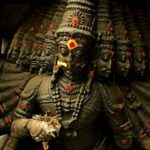 The purpose of this website is to answer all the questions and clear the doubts of people from other religion who want to know and learn about hinduism. To read stories, To understand the religion and for the people who dont know much about our religion. There will be no bashing about other religion and bragging about Hinduism. Please enjoy the articles and leave your feedback. The Images we use in the posts are not ours. we get them from google search. We try to give the name of the image owner if we know who is is in the creits section of our posts. But if we are unable to know the real owner, we write the credits as it is.